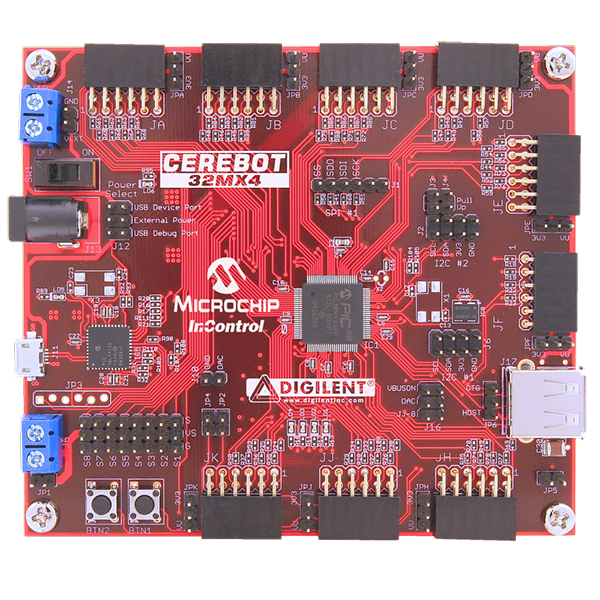 The Cerebot 32MX4 is designed for embedded control and robotic applications as well as microprocessor experimentation. 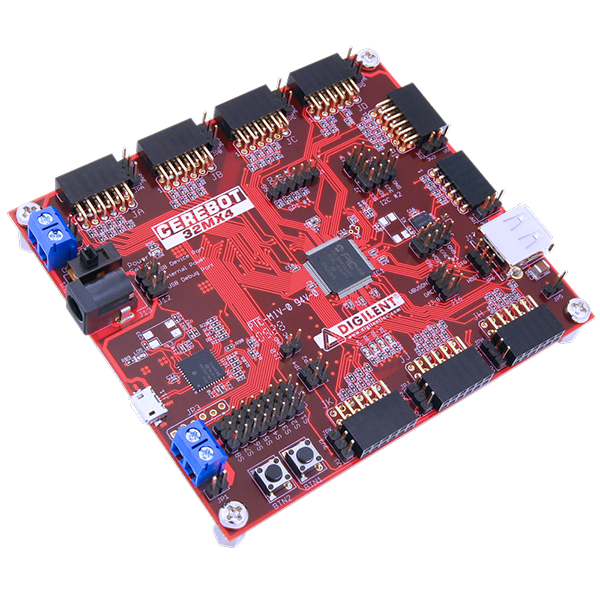 Firmware suitable for many applications can be downloaded to the Cerebot 32MX4's programmable PIC32 microcontroller. The board has a number of connection options and is specially designed to work with the Digilent line of Peripheral Modules (Pmods) with various input and output functions including direct connection of up to 8 RC hobby servos, provides two on-board push-buttons, and four on-board LEDs for user I/O, as well as providing connections for two I2C buses. A serial EEPROM and a serial D/A converter are provided on one of the I2C buses.